Acupuncture is an effective form of medical treatment that has been utilized as a health care practice for over 3,000 years. It is safe, drug-free and a natural therapeutic modality. Services include numerous diagnostic and treatment techniques that include Body and Auricular (Ear) Acupuncture, Ear Seed, Electroacupuncture, Cupping, Moxibustion, Acupoint Injection Therapy, TuiNa, Chinese Herbal Therapy, Homeopathic Remedies, Nutritional Remedies, and Micronutrient Nutritional Assessment. Body acupuncture is the insertion of needles into specific points or non-specific tender points when treating painful conditions. Needles utilized will vary in size depending upon the area of the body being treated. In some instances, the needles will be inserted at or surrounding a painful area, however in conditions that are non-painful in nature, needles are applied based on point prescriptions developed according to the patient’s diagnosis in Traditional Chinese Medicine. The length of time that needles remain inserted and the recommended future duration and frequency of treatment sessions is determined by the Acupuncturist and is based on such determining factors such as the severity of the condition being treated, whether the condition is acute or chronic, and the goals of the patient. Auricular or “ear” acupuncture involves the insertion of needles into various points that are mapped out on the front and back surface of the ear based on the style and method of auricular acupuncture that is utilized. Points used can vary based on the method. This technique can be used on its own to treat conditions or can be combined with body acupuncture for a complimentary or more powerful effect. Auricular acupuncture is an alternative method for patients whom are fearful of needles, especially since Acupuncturists can utilize ear “seeds” or tiny pellets with adhesive, applied to the ear, to stimulate the same points. Techniques such as Electroacupuncture, Cupping, Acupoint Injection Therapy and Biopuncture Pain Control can be applied in lieu of or as an adjunct to traditional acupunctural techniques. The best treatment for you will vary depending on your needs and circumstances. 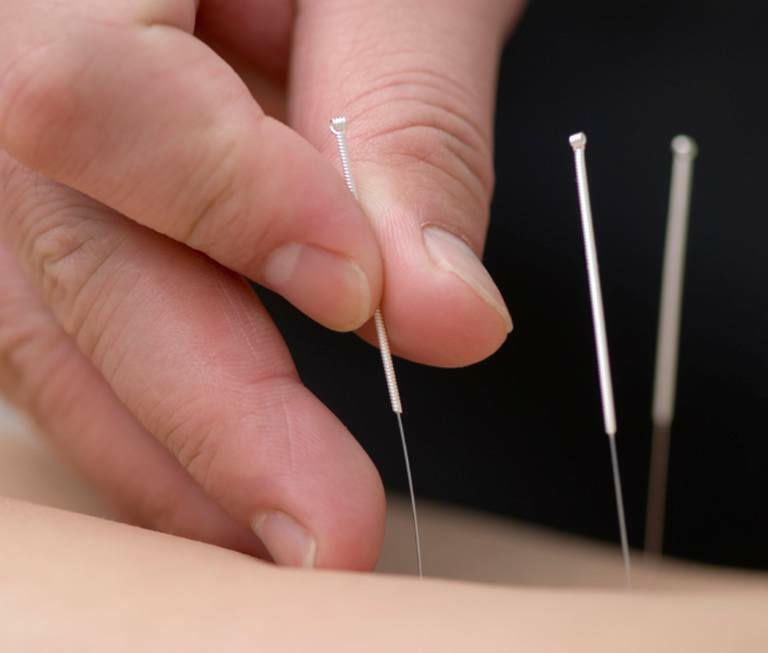 A qualified Acupuncturist will help you determine the best course for treatment.